The New York Times uses Georgia as its main font. This was a switch from Times New Roman. The newspaper said it made the switch because Georgia is wider and easier to read; however, it continues to use Arial as its sans serif font. The newspaper's goal was to improve readers' online experience, but some found the change difficult to read. 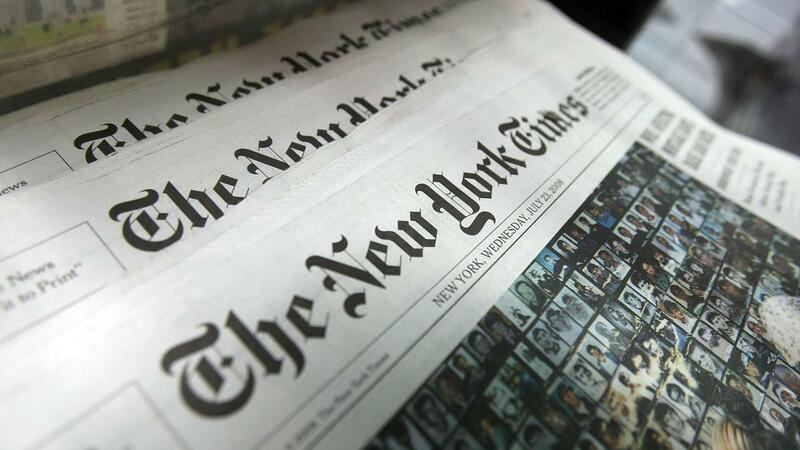 As a result, The New York Times suggested readers turn on Microsoft's ClearType software to enhance the experience and make it easier to read content online. ClearType is a software that accesses individual color strips from pixels and improves the quality, which makes it easy to read the letters on screen. Microsoft claims that the software makes letters on screen as clear as if someone printed them out on paper. How Do You Make a Preschool Newsletter? What Kind of Paper Do Magazines Use? What Are the Best DIY Magazines? Where Can You Buy Magazines in New York City?